Driftbox was initially developed for use in the Japanese D1 Grand Prix series to assist the judges award points during the competition, and has become in effect the fourth "Judge". Every vehicle which competes has a DriftBox Pro fitted during each run, and the judges get a points score for each corner based on Entry speed, Drift Angle and Cornering Force. Cornering force is used to judge how well the car is setup, the higher the cornering force, the more power and skill are needing to slide the vehicle. The DriftBox Pro is for official competition judging, and communicates in real time to the judges via a radio telemetry system. This system is based on two GPS systems, with antennas placed in line on the roof of the car. Drift Angle is the difference between the Direction of travel and the Direction the vehicle is pointing. The GPS system used is an RTK system, which gives an accuracy of 0.25 degrees, 0.1km/h and 0.01G. As a result of the development of DriftBox Pro, Racelogic have been able to use this experience to produce DriftBox. Housed inside the DriftBox is a high performance 10Hz GPS engine coupled with sophisticated motion sensors. Speed, Postion, Acceleration and Drift are measured 10 times a second. To measure Drift angle, the angle the vehicle is pointing is computed using the motion sensors, and this is compared with the angle the vehicle is travelling which is computed from the GPS. DriftBox is equipped with an MMC/SD Flash memory card socket. 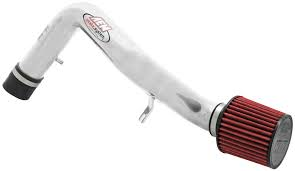 This allows 10Hz logging of Time, Distance, Speed, Position, G-force, Lap Times, Split Times, and Drift Angle. Data logged to the MMC flash card can be analysed in detail using the PC software provided. For convenience, the DriftBox can be connected to the USB port of a PC compatible computer to download information stored on the memory card. Drifting is a very exciting form of motorsport where the driver has to continuously slide the car in a controlled manner around a set course. The competition is judged by an expert panel, who base their decision on speed, style, accuracy and drift angle. Until now, the drift angle had to be estimated, but with DriftBox the guesswork has been removed, allowing much fairer comparisons to be made between competing drivers. Not only does DriftBox give feedback on angle, but also entry speed and cornering G-force. This information is displayed to the driver, and can also be transmitted to the judges and spectators in real time using the optional Racelogic telemetry system. Racelogic have been involved in professional Drifting for over 2 years, working very closely with the Japanese D1 Professional Drift Grand Prix Series. The DriftBox has been tested and used by the world's best drifters, from Japan, America, England and Europe. To swap between the 6 different performance meter screens, simply press the up and down arrows. Performance ranges and units are fully user adjustable, which means if you want to measure a specific acceleration or deceleration range, for example 35-65, then this is very easy to do. Using DriftBox to measure your 1/4 mile is very easy, simply scroll the screen to the 1/4 mile screen, and then go! The elapsed time and trap speed are then both displayed in real time on the DriftBox screen. You can choose to make this measurement either with or without the NHRA 1 foot rollout method. The 1/4 mile times measured by DriftBox are accurate to within 0.1s. After an acceleration run, you can download your data from the SD card and overlay a previous run to see where you lost or gained time. DriftBoxes are now being used by to measure acceleration, braking, and lap times by many car and bike magazines, such as EVO, AutoExpress, Autocar, Redline, Max Power, Banzai, Japanese Performance, Performance BMW, Car & Driver, Performance Bikes, Ride, to name only a few. 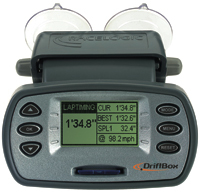 Using the supplied software and an SD flash card, you can download the speed/time/distance/acceleration data from DriftBox via USB and analyse it using the PerformanceTools analysis software. Another very powerful feature is the ability to export your DriftBox position files to Google Earth, allowing you to plot your vehicle's path onto a satellite image of the area. Because DriftBox uses a fast GPS engine, it knows precisely where you are every 1/10th of a second. Using this information, it can compare your current position with a number of stored reference points and use this information to trigger a lap timer function. Setting it up is very easy and only has to be done once. Just put DriftBox into setup mode, and drive over the point you wish to define as the start/finish line. This point is then converted into a line at 90 degrees to your direction of travel, and stored in the internal memory. Up to 6 Splits can be defined in a similar manner, and you can freeze corner exit speeds by using the Speed@Split function, making it more than just a simple lap timer. There is a 99 lap memory, with every lap and split recorded to the SD card for later analysis. As usual with DriftBox there are a host of other features such as modes for slalom courses, a one-shot mode for Sprint circuits, different options for split times, and you can load and save all start / finish and split points to a file on the SD card. 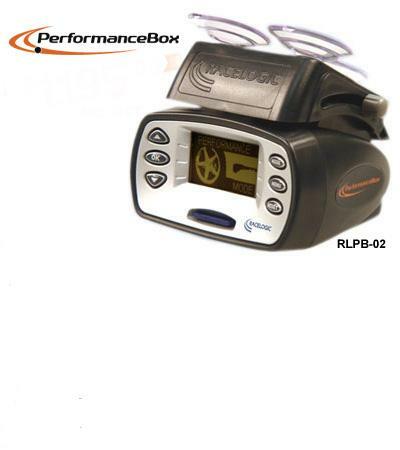 No other lap timer combines all of these features in one easy to use and affordable unit. For drivers keen to improve their laptimes and get valuable feedback on technique, DriftBox includes a sophisticated, fully functioning Data-logging package. Dedicated data-loggers with similar features normally cost more than the DriftBox itself, so the inclusion of this feature is worth the purchase price alone! To use the Data-logging, simply insert the 64Mbyte SD card (which gives up to 53 hours of logging) and drive. Once you have finished the test, either plug the DriftBox into a PC via the USB cable provided, or remove the SD card and place it in a suitable reader. The data is then read into the PerformanceTools software, which is installed from the CD supplied. This software allows graphical analysis of acceleration, braking, cornering and lap times. You can overlay up to four files, and you get an accurate track map to compare your driving line between different laps. Make no mistake, this is not just token data-logging, this is the real deal! DriftBox can help you to measure the power developed by your car’s engine, either at the wheels or flywheel. Having set the vehicle weight, results are calculated from the measurements taken by the fast GPS engine to give you useful guidelines to the car’s brake horsepower or kilowatt output. Because these calculations are made from the GPS data rather than accelerometers, your results are likely to be more consistent and accurate. There are two parts to the testing process: the acceleration run, which gives you the power at the wheels minus the losses caused by tyre and air resistance. The second part of the test measures these losses and also estimates gearbox losses. The Power Mode is also an additional tool for car tuning, where access to a chassis dynamometer is not possible.